Fine Art Shippers represents a team of experienced world wide shippers specializing in handling and transporting art and antiques. Our extensive experience in this field and a reliable network of international partners around the globe allow us to ship art for many reputable museums, auction houses, galleries, dealers, and other art business professionals on a daily basis. Besides, we also work with different cultural centers and public institutions, helping them transport artwork of any type, size, and value. It is needless to say that as professional world wide shippers, we frequently visit many important historical places located all over the United States and beyond, and we are always ready to recommend the best of them to our clients and friends. For example, you should definitely visit the Fort Lauderdale Historical Society in Florida! 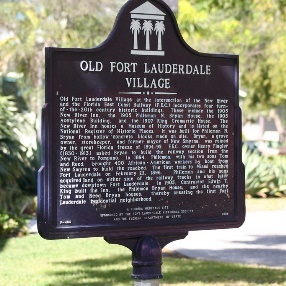 The Fort Lauderdale Historical Society is exactly the spot where Fort Lauderdale began. This important complex includes the Museum of Florida History where you can find various exhibits and artifacts spanning the region’s history, the area’s oldest tourist hotel New River Inn built in 1905, the King-Cromartie House Museum that was once home to Edwin T. King’s daughter Louise and her husband Bloxham Cromartie, the Research Center, and many other must-visit places for any taste and interest. In general, the Fort Lauderdale Historical Society is entirely focused on teaching American and Broward County’s history, so do not miss a chance to visit it while in Fort Lauderdale! This amazing complex is highly recommended by our team of world wide shippers!